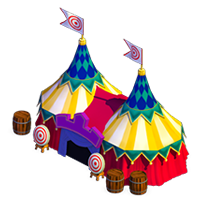 The Baron's Tent thread in the HUB has *all* this information: Click here! Info: A marvelous and sweet rodent. Drops Fish, Bones and even more Mink Lint. Info: Watch where you aim those arrows! You wouldn't want to hit the wrong suitor. Info: A cuddly Direlove. 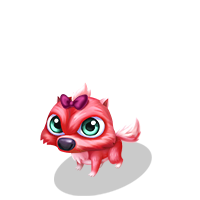 Pet it to see what it found for you! Info: An adorable baby direlove. 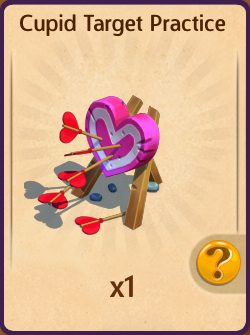 Chance to drop Valentine's decor and more! Info: Pay a pretty penny and get yourself some Valentine's Day sugar! Info: A heartwarmingly friendly Lovebeast. 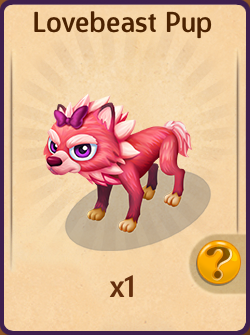 Pet it to see what it found for you! 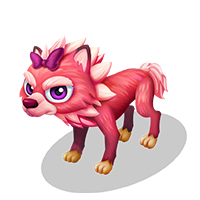 Info: An adorable baby Lovebeast. 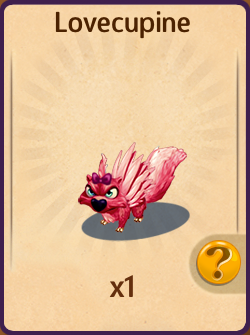 Chance to drop Valentine's decor and more! 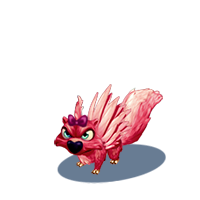 Info: A ferociously lovable Lovecupine. 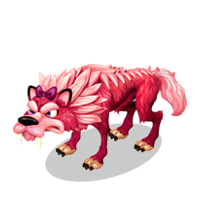 Pet it to see what it found for you! Info: An adorable baby Lovepea. 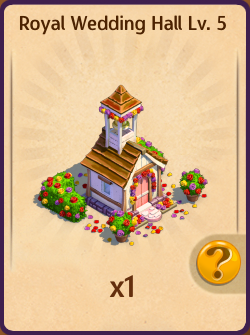 Chance to drop Valentine's decor and more! Info: A beautiful wedding destination! Info: A calm and romantic boat ride for you and your sweetheart! Last edited by NorthWoodsKingdom; 03-16-19 at 01:56 PM. 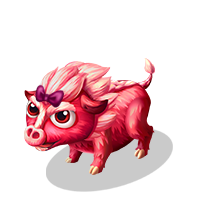 Got the direlove piglet, will let you know in 6 hours what he drops! 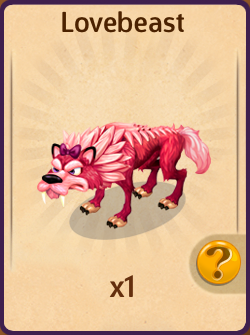 I have all of the items (from previous events) & will get all the drops listed for each soon. 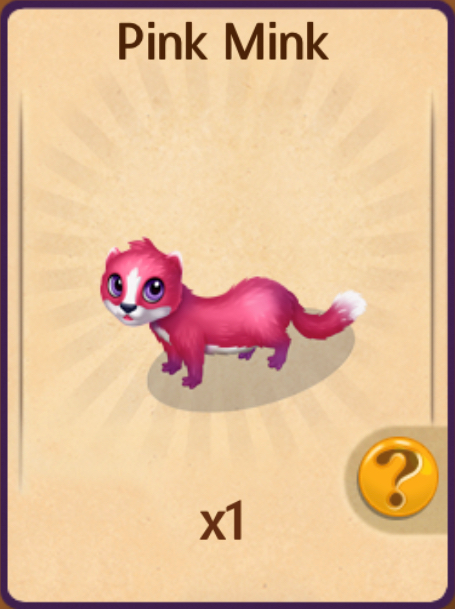 In my Goalbook it has a 7 days timer on Goal Pretty in Pink Mink. 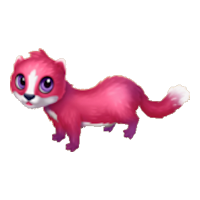 Info: An adorable baby Direlove Chance to drop Valentine's decor and more! Comments: Tend 5 times to grow up. Last edited by ShibuyaCloth; 02-11-19 at 12:20 PM. 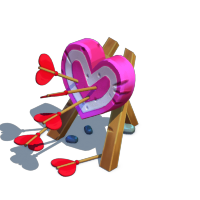 I love my V-day babies, they've dropped enough V-day decos for me that I can easily decorate my entire realm for the season of love. 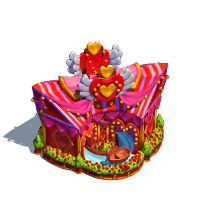 The only deco I've ever not received from my babies is the Sweetheart Fountain and the Swan Ride, other than that they've dropped every item from the Sweetheart Shack trades. So excited for the chance to get more! 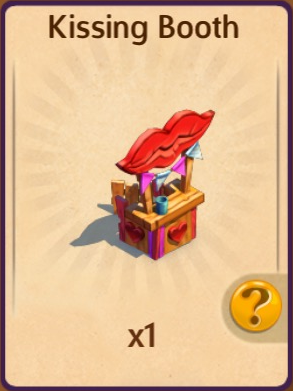 Hey Annira ~ You’re close but not only do none of the V-day babies drop the Sweetheart Fountain (not a Trade drop) or Swan Ride, but none of them drop the Sweetheart’s Bench or Sweetheart’s Throne either (those also come from the Sweetheart Shack trades). But you’re right, my babies have supplied me with oodles of Valentine’s decor, too! 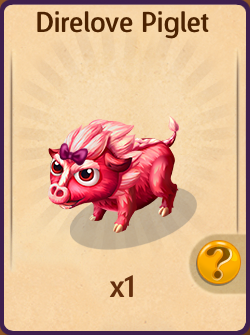 Note to those who remember these V-day babies from last year, though: they don’t all drop all of the (or same) decos; each of the 3 drop 4 *different* V-day decorations (see my list in post 1 to see which drops what). PS. 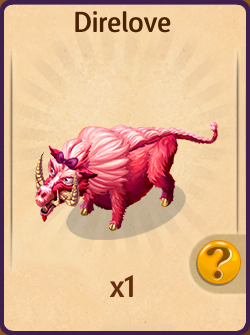 There are a couple of grand prizes that I don’t have the exact drops (or number ranges of drops), so if anyone gets the grown Direlove, Lovebeast or Lovecupine, please help me fill in the blanks, k? Otherwise, post 1 is up with what I *do* know. PPS. 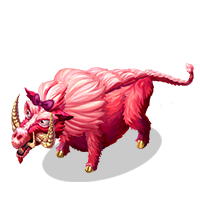 Sad not to see any of the Vday alicorns (or tons of other Vday decos) even in the Market, making it more difficult for us old-timers to pick what to buy more of just to get the pink Mink cuz we HAVE everything else already, lol. 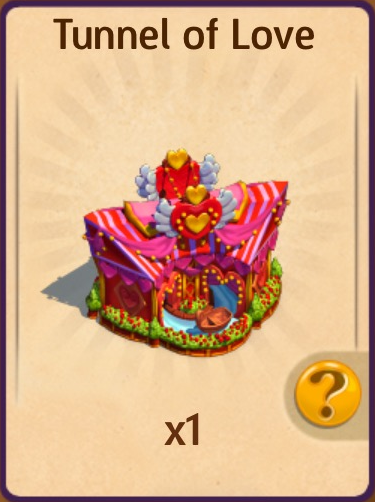 I've not done a single trade since the event ended (I got one of each item during the event) but I've got over 20 Sweetheart Benches and several Sweetheart Thrones to drop from my babies. 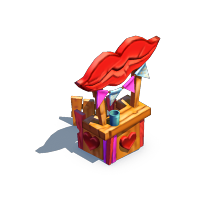 Also, the Sweetheart Fountain is from the Sweetheart Shack Trade II which is the only place I was able to get it. Hmmmm.... are you absolutely sure about this, girl?? Cuz my experience is totally diff. 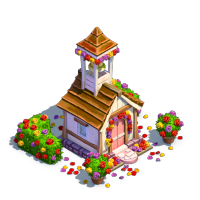 All of my benches & thrones came from the trades and the only sweetheart fountain I have, I bought it from the Market last year when it was offered. Can you do a check and let me know which baby you’re getting those from? That’s so weird...and now I’m miffed mine never drop benches & thrones, LOL! 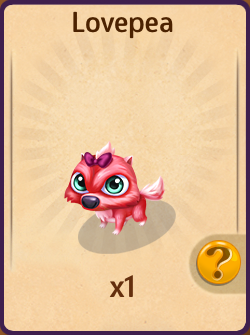 ...or even better yet, lol... SW ~ Can you please check with S8 for a definitive list of the V-day baby drops for us?